Edel Mullan Interior Design – Northern Ireland. To take both rooms from their dated and worn out existence and design, create and complete a fresh, modern and relaxing environment. The design was created to give a boutique hotel room feeling of luxury & calm. 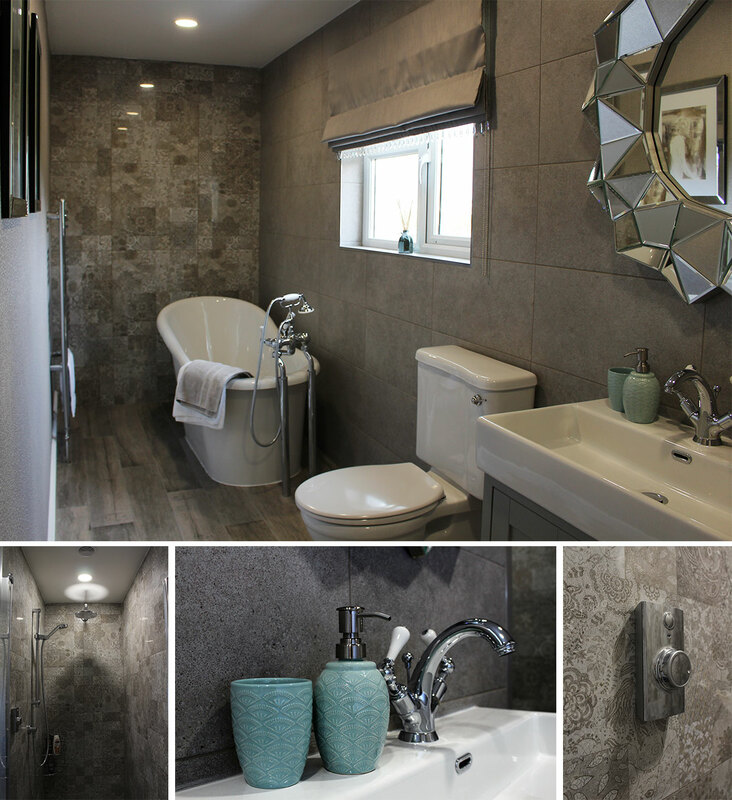 It began by firstly sourcing the sanitary ware and fittings to suit the layout of the ensuite and agreed budget. The rest of the design followed with a stunning selection of tiles, fabrics, carpet, lighting, furniture and bedding to create the required look. A simple colour palette of grey, silver, taupe and white was used to create calm with a hint of duck egg to complement the bedding. 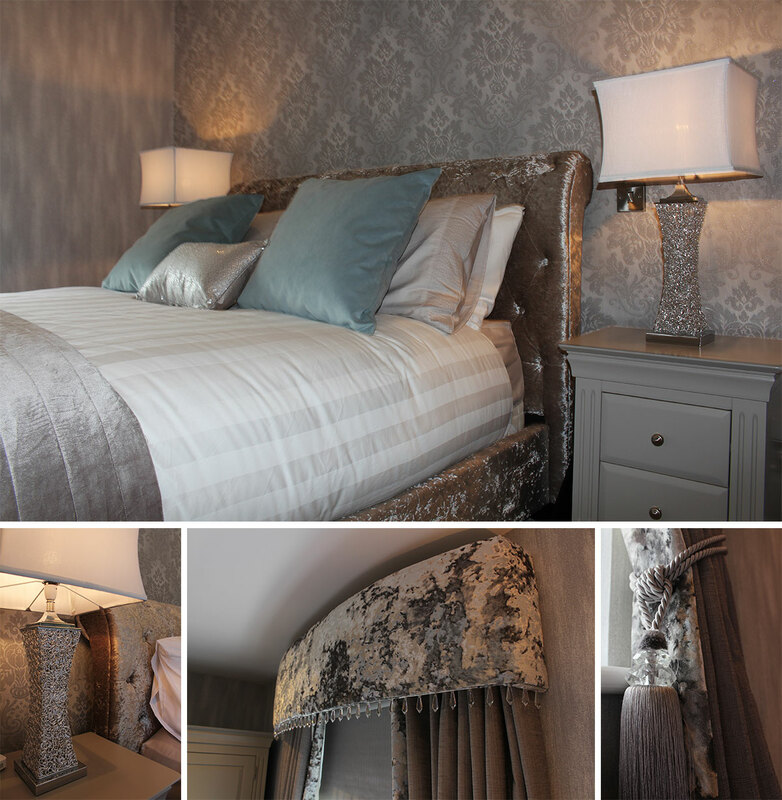 Both rooms are beautifully finished and have a very plush and boutique feeling with the combination of textures, colours and finishing touches. The spaces have been completely transformed and have a modern look with a very homely and comfortable feel to them from the warm selection of warm tones and soft fabrics.